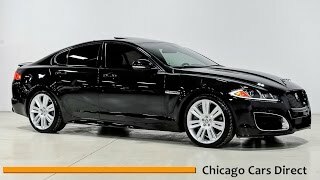 Jaguar unveiled a new optional speed pack for XFR which includes suspension and aerodynamic enhancements and unlocks a higher top speed capability (from 155 mph to 174 mph). The 510PS XFR Speed Pack car is equipped with revised engine and gearbox calibration to match the increased top speed. A new front aero splitter and a new rear wing distinguish the Speed Pack car. 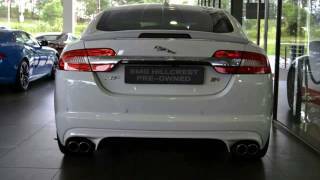 Jaguar unveiled a new optional speed pack for XFR at the Moscow Auto Show 2012. This speed pack includes suspension and aerodynamic enhancements and unlocks a higher top speed capability (from 155 mph to 174 mph). The 510PS XFR Speed Pack car is equipped with revised engine and gearbox calibration to match the increased top speed. 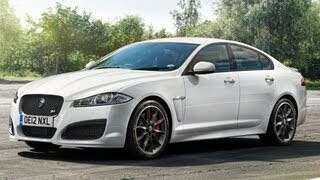 A new front aero splitter and a new rear wing distinguish the Speed Pack car from the standard Jaguar XFR. Jaguar continued the revitalization of its core range to reinvigorate the Jaguar brand with further announcements at the Moscow Motor Show today. The Moscow Motor Show marked the official debut of the All-Wheel Drive (AWD) system that will be available on versions of the XF and XJ saloons in selected markets from 2013 Model Year. The AWD system is powered exclusively by Jaguar's new 3.0-litre V6 supercharged petrol engine in 340PS form driving through an eight-speed automatic transmission and featuring Stop/Start technology. Jaguar AWD operates 'intelligently', continuously monitoring grip levels and driver inputs to both pre-empt and react to wheel-slip, enabling maximum traction in all conditions. Global Brand Director Adrian Hallmark said at the Jaguar press conference: "In low grip conditions, such as snow and ice, the system automatically transfers torque to all four wheels to optimize traction, vehicle stability and driver confidence. So with this capability our XF and XJ saloons are perfect for the Russian winter, spring, summer and autumn." North America, Russia, China and continental Europe will account for the majority of sales for the new AWD models. Adrian Hallmark also revealed that the powerful XFR sports saloon has just got even faster with the introduction of a new optional Speed Pack. Featuring a speed limiter raised to 174mph (280km/h), the 510PS XFR Speed Pack car is equipped with revised engine and gearbox calibration to match the increased top speed. A new front aero splitter and a new rear wing distinguish the Speed Pack car. The 510PS XFR sports saloon benefits from the same combination of eight-speed automatic gearbox and Intelligent Stop/Start allowing it to offer an unrivalled blend of efficiency and excitement. The EU Combined cycle improves by 11% with its emissions reduced by more than 8%. 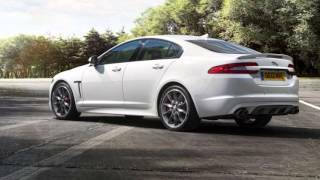 Please follow this link to view a 30 second video of the All-wheel drive system and images of the XFR Speed Pack.